PYEONGCHANG, South Korea -- South Korea's lone Nordic combined skier Park Je-un said Tuesday his first Winter Olympic Games have been a learning experience. "I will never forget this Olympics," he said. "It's just a pity that I didn't perform well. But I'm sure my experience at the Olympics at home will drive me to get better." The Nordic combined large hill was Park's third event at the Winter Games. He finished 46th among 47 competitors in the individual Gundersen normal hill/10-kilometer event last Wednesday. On Monday, he competed in the ski jumping team competition with three other compatriots and took last place among 12 teams. For his last competition at the PyeongChang Olympics, Park finished last in the ski jumping portion, with 60.4 points, following his 104.5-meter jump at Alpensia Ski Jumping Centre in PyeongChang, Gangwon Province. That resulted in him starting 5:14 later than Akito Watabe of Japan who finished first in the ski jumping phase with 138.9 points. The deficit was too big for Park to catch up in cross-country skiing. Park said his body wasn't 100 percent fit after competing for two consecutive days. "When you're in a competition, your body deals with unimaginable stress," Park said. "I tried to overcome it, but my routine for this competition was already mixed up with the ski jumping competition yesterday. For inexperienced athletes like me, this was hard." South Korea was not originally scheduled to compete in the ski jumping team competition. 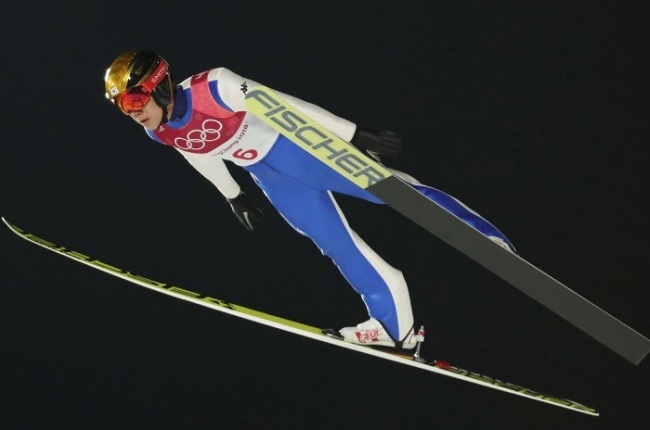 However, after Choi Heung-chul earned a last-minute entry to the Winter Games last week, it decided to enter the ski jumping team competition with Park being one of the four jumpers for South Korea. Park was the worst performer in the ski jumping team competition, posting only 29.4 points with an 81.5-meter jump on the large hill. "Yesterday's competition might have helped me build some confidence, but it was a whole different situation today," he said. "When I go up, I imagine what my jump would be like, but today, I just couldn't do it better." Despite the poor performance, Park said there is still a bright side. "Through this Olympics, people in the world will at least know about South Korea, and (that) there's a Nordic combined athlete in this country," he said. "Personally, I learned from this Olympics that world class athletes always show consistent performance no matter what." Park lamented that if there weren't frequent coaching changes on the team, he would have performed better. Over the last three years, four coaching staff members have been replaced. "I had to change my style whenever new coaches arrived," he said. "I think because of that I may have lost my original forte." In the future, Park said the national ski association should consider allowing him to train with other national teams. "I think it will help me a lot if I can train with other national teams," he said. "The Nordic combined skier from Switzerland is also alone here, but he has been training with the Norway team." The Nordic combined national team was first formed in 2013, but only Park is still competing. For Beijing 2022, the 24-year-old said he wants to have a teammate. "I don't know what will happen over the next four years, but I hope I'm not alone," he said. 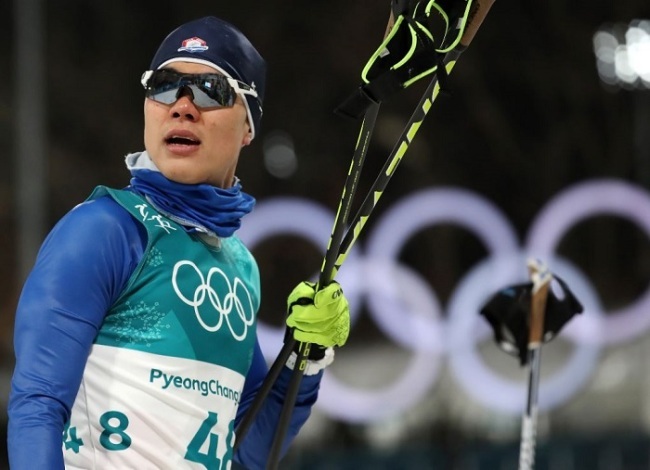 "I really want to do well four years from now (at the Beijing Olympics), so that many young people can compete in Nordic combined," he said. Park said his next goal is to finish inside the top 10 in international competitions. He said he'll first start with low-tier Continental Cup before heading to World Cup competitions. "During practices here, I even finished inside the top 20, and if I can just develop from there, I think I can crack the top 10 one day," he said. "I will have a step-by-step approach. If I prepare for the next four years, I'm sure I'll perform better." Park said he will not give up his lonely fight.